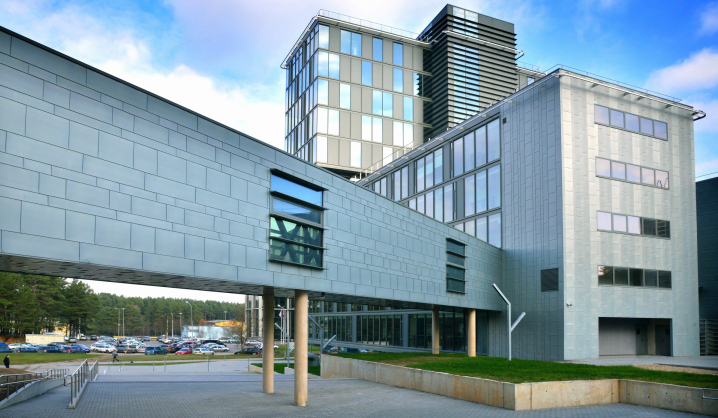 VGTU Lyceum of Engineering is the first of it’s kind in the capital of Lithuania. By the decision of Vilnius City Council Vilnius Lyceum of Engineering is given the name of Vilnius Gediminas Technical University (VGTU) from September 1st, 2016. „The country's progress is determined by innovation and technologies, and companies in these areas constantly seek qualified and skilled professionals. The training of such professionals starts prior to the university, therefore we strive to introduce students to technologies and various areas of engineering as early as possible, in order to turn the best students to the best professionals“, – said VGTU Vice-Rector for Studies prof. dr. Romualdas Kliukas. According to VGTU Vice-Rector for Studies, VGTU Lyceum of Engineering is a natural continuation of the intensive work with schools. Vilnius Lyceum of Engineering – is one of over 20 Lithuanian schools, having VGTU classes. 9–12 grade students enrolled in VGTU classes are conducting experiments at VGTU laboratories, solving challenging tasks of economy and math, learning computer design, and deepening knowledge in natural sciences. They gain access to VGTU teaching base, laboratories and equipment in order to prepare for the studies of technological and physical sciences. According to the director of the Lyceum Regina Mikalauskienė, the current change is a challenge motivating the Lyceum teachers to keep improving, because VGTU Engineering Lyceum is a specialized educational institution, meant for students with exceptional talents in math, natural sciences, technologies and creative engineering. “The name of the Engineering Lyceum and engineering focused curricula obliges us, teachers, to keep improving in these areas, as well as be able to identify and nurture special talents in engineering. The academic community of the University actively cooperates with the Lyceum teachers in integrating and implementing the curricula of the Lyceum. Our students have an exceptional opportunity to apply the acquired engineering competencies while implementing creative tasks.” – the director of VGTU Engineering Lyceum Regina Mikalauskienė expressed her joy on the successfully implemented vision.